Fabio La Fauci is known for his abstract art which uses a surreal and sculptural perspective with biological forms. Born in Milan, Fabio is now based in Berlin and has released his new collection of art called ‘Is it you?’. Observing his new faceless portraits, we can really find ourselves in the smears of acrylic paint. They call out to you and make you ask yourself who you really are. 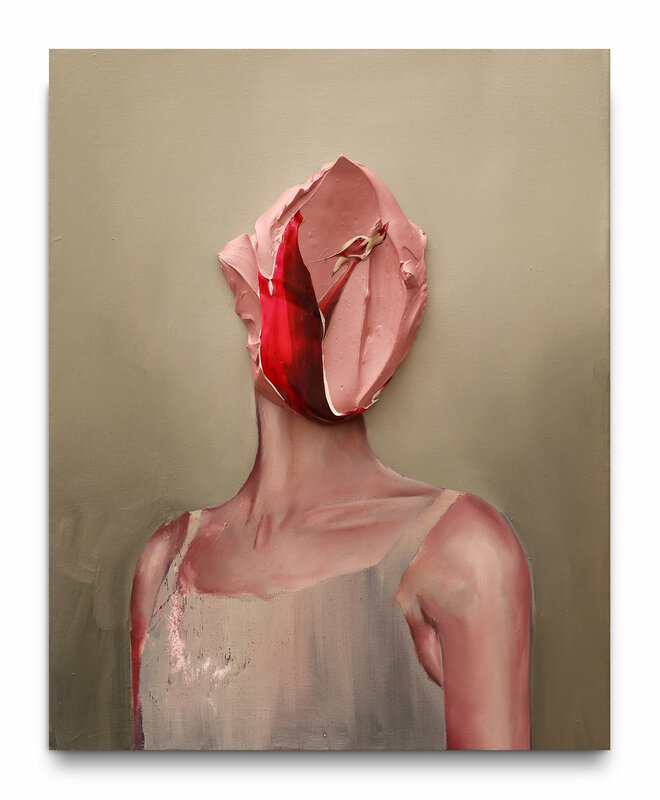 Fabio’s art displays how feelings, symbolised by blood, escape our fragile yet secure skin effortlessly. A duality of realistic forms adorned with dramatic and fluid brush strokes which replicate the flow of blood in human forms is displayed through Fauci’ work. The use of strong blood reds and organic pinks along with mystical violets and purple, gives a dramatic impact while used against tones of beige, grey and skin colours. The highly viscous acrylic paint plays a powerful role in giving the portraits a sculptural, yet organic quality. Art is often a form of catharsis, meaning the escape of repressed emotions. Fabio la Fauci’s work has the ability to trigger this release.